Loreen Arbus, Founder & Chair of Women Who Care and Edward R. Matthews, CEO of United Cerebral Palsy of New York City, have announced the honorees for the 13th Annual Women Who Care Luncheon. Judith Light – Emmy, Golden Globe & two-time Tony Award-winning actress and activist. The event, to be held Wednesday, May 7th, at Cipriani 42nd Street, benefits United Cerebral Palsy of New York City and celebrates the extraordinary accomplishments of women as professionals, caregivers and philanthropists. Susan Lucci – Emmy Award-winning actress now starring in the hit Lifetime series, “Devious Maids” and a former Women Who Care Award honoree – returns as host of the star-studded luncheon. Celebrity presenters will include Emmy-winning actress America Ferrera, star of the television show Ugly Betty and new film Cesar Chavez; Alex Witt, host of the MSNBC show Weekends with Alex Witt; and Tamsen Fadal, Emmy-winning anchor, PIX 11 News. Loreen Arbus is Founder/Chair. Jill Herzig, Editor-in-Chief, Redbook, and Donna Hanover, former First Lady of New York City, are Honorary Chairs. Robin Givens, star of the ABC series “Twisted,” Ali Stroker of Glee and Glee Project fame, and six-time Emmy-winner Paula Zahn, host of the series On the Case with Paula Zahn, are Co-Chairs of Women Who Care. All Chairs will be attending the luncheon this year. Each year over 600 people attend the star-studded sold-out event to support children and adults with disabilities and their families. Over the past decade, Women Who Care has become a New York tradition and generates worldwide media coverage. 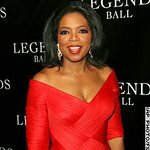 In past years, celebrity presenters for Women Who Care included Diane Sawyer, Robin Roberts, Oprah Winfrey, Jimmy Smits, Alan Rickman, Cynthia Nixon, Meredith Vieira, Martha Stewart, Deborah Norville, Regis Philbin, Ivanka Trump, Danny Glover, Dan Rather, Diane von Furstenberg, ABC Evening News Anchor David Muir, and Michelle Bachelet, former President of Chile, among many other notables.